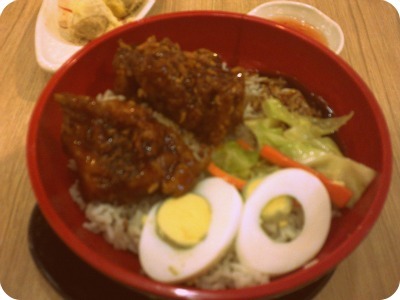 Chowking's Chef Bowl - Honey Garlic Chicken is another budget friendly meal from Chowking. It was my first time to try this and all I can say is that - Chowking discovered a new dish that would invite more people to come and visit their store. The Honey Garlic Chicken bowl do have vegetables such as carrots and cabbages. However, their carrots were undercooked so I have to set them aside. Also, it has hard boiled eggs for a more satisfying eating experience. The chicken's taste was, so-so. It wasn't the best but it's good enough to satisfy their hungry clients. It's sweet and salty w/ a kick of toasted garlic added the fire to my eating adventure. I rate it 4 out of 5. I'll be trying the Oriental Beef, soon. Conclusion: Being "full" doesn't have to be expensive. Definitely a must-try!